Around 2004, camera phones became as commonplace as the telephone. This increasing trend spawned millions of new photographs taken by regular people as they lived their daily lives. 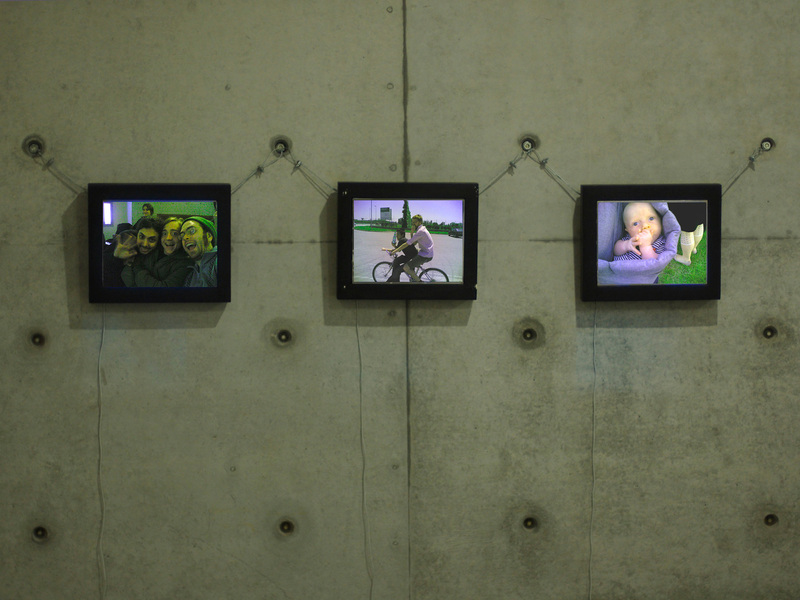 Often these were photos of friends and loved ones, funny signs or objects that they saw on their way to work or home, or brief moments of beauty – a clear sky as seen through tall buildings, a child playing under a tree, abstract reflections in glass. 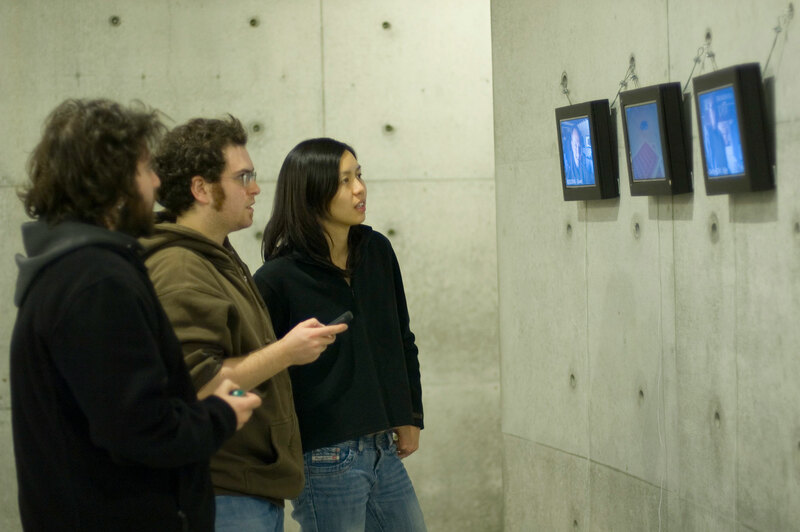 CommPose is an installation platform that compiles images from these seemingly distinct sources, creating a sequence that represents a group of people in a certain place at a particular time. 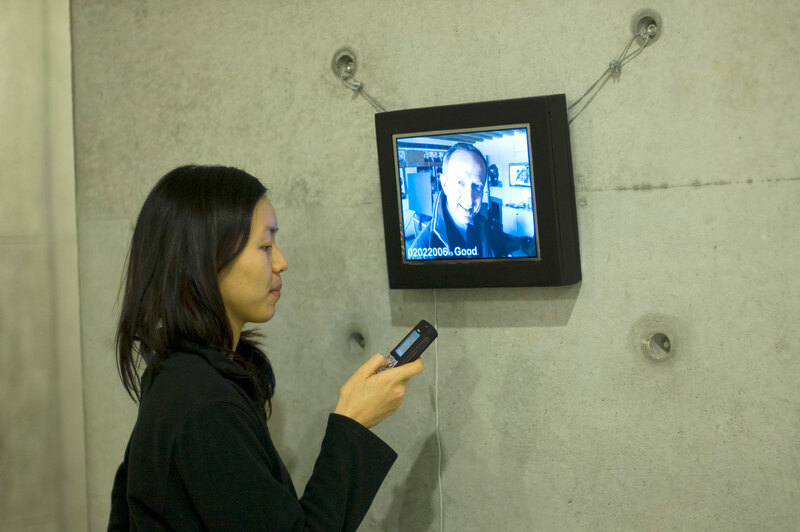 Using Bluetooth technology, passersby are encouraged to contribute a photo from their camera phones to the installation, which then places the image at the front of a sequence. 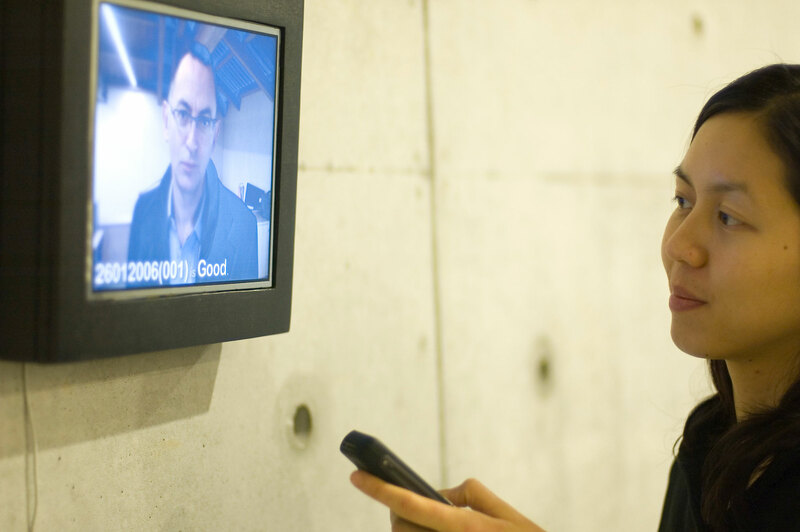 Because of the short-range requirements of Bluetooth, all the images on the screen are contibuted by people standing in front of it, which creates a strong connection between the images and the installation space. Created in 2005 for Fabrica Communication Research Centre in Treviso, Italy.